The Tunisian man wanted in connection with the deadly attacks on a crowded Christmas market in Berlin was under surveillance by German authorities for months because he was suspected of planning an attack, according to Berlin prosecutors, The Associated Press reported. Authorities also say that the suspect, Anis Amri, also allegedly had ties to radical Islam and had his application for asylum rejected. 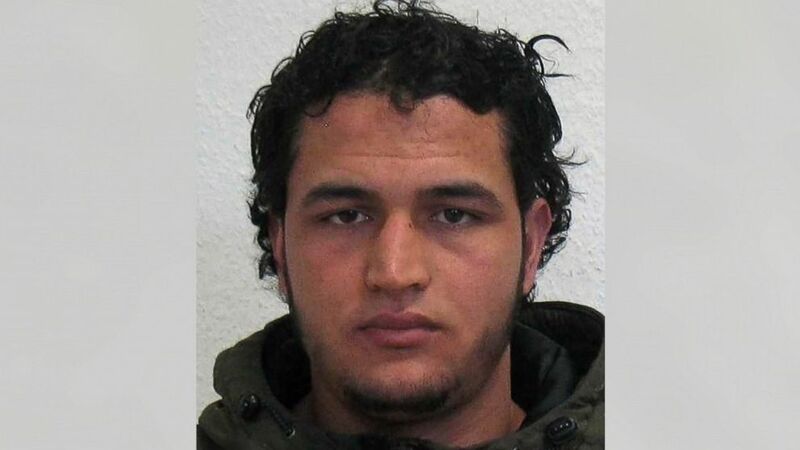 German authorities have issued a wanted notice for 24-year-old Amri in connection with Monday's attack. Amri was under surveillance for several months this year, prosecutors said in a statement, according to The AP. Authorities had launched an investigation on Amri on March 14 following a tip from federal security agencies. The tip warned that Amri, who was considered a potential threat by authorities in the western state of North Rhine-Westphalia, might be planning a break-in to finance the purchase of automatic weapons for use in the attack, The AP reported. The surveillance was called off in September after no evidence was found to substantiate the warning. Germany's chief federal prosecutor told lawmakers that Amri provided a "solid lead" for investigators after he left his wallet in the cab of the truck, said German lawmaker Burkhard Lischka. But the lawmaker added that it is "not clear" that Amri is the perpetrator of the crime. "This is a suspect, not necessarily the perpetrator," Germany's federal interior minister Thomas de Maiziere told reporters Wednesday. "We are still investigating in all directions." Germany's federal prosecutor's office offered a reward of up to 100,000 euros for information leading to his arrest. He is deemed to be "under urgent suspicion" and could be "dangerous and armed," authorities warned in the wanted notice. A police spokesman in Emmerich confirmed to ABC News on Wednesday that authorities were searching Tackenweide refugee center located in the town in North Rhine-Westphalia. Ralf Jaeger, interior minister of the German state of North Rhine-Westphalia, told reporters the suspect had known ties to radical Islam and had been classified as a threat by several security agencies. It's unknown whether the man was previously detained by authorities. According to Jaeger, the suspect lived in the town of Kleve in North Rhine-Westphalia before moving to Berlin, Germany's capital, in February. His application for asylum was rejected in June but he could not be deported because he did not have valid travel documents, the minister said. Prior to Jaeger's press conference, Germany's federal interior ministry told ABC News authorities believe the suspect is still in the country. The Islamic State group claimed responsibility for Monday's attack, in which a truck plowed into crowds at the Christmas market at Breitscheidplatz in Berlin. ISIS claimed the attacker is "a soldier of the Islamic State," according to a statement released by the terrorist group's Amaq News Channel. The attack left at least 12 people dead and 48 others injured. Twelve of the wounded were still being treated for injuries Wednesday night, according to German health officials. In the back of the Polish-owned tractor trailer used in the attack, the truck's driver was found dead with gunshot wounds. No gun was recovered from the scene, suggesting that weapon may still be with the attacker. The truck was stolen in Poland from a building site, according to Berlin police. Police said the deceased truck driver was a Polish citizen and was not controlling the vehicle when it drove into the market. The man is being counted among the 12 fatalities. A 23-year-old Pakistani asylum seeker was arrested in connection to the attack and then released on Tuesday night due to insufficient evidence, police said. As the Europe-wide manhunt for the suspect intensified Wednesday, authorities said they received more than 500 tips. ABC News' Andreas Bechmann, Matt Gutman and Troy McMullen contributed to this report.